Max Fluke, who served with the Brethren Construction Crew, which built Grace Brethren church buildings as part of the ministries of the Brethren Architectural Service and Grace Brethren Home Missions, has died. He also worked at Grace College, in addition to having served as a pastor, and was a well-known builder in the Winona Lake, Ind., area. His obituary appears below. William “Max” Fluke of Grace Village Retirement Community, Winona Lake, Ind., died at 10:10 p.m. on Wednesday, May 8, 2014, at Grace Village Health Care in Winona Lake at the age of 90. After graduating high school, he was drafted into the U.S. Army on June 3, 1943. He served during World War II as an Advanced Scout in Luzon and New Guinea, and was honorably discharged on October 7, 1945. He moved to Winona Lake, Ind., in the summer of 1951 to attend Grace College and Seminary. In 1957 he and his family moved to Long Beach, Calif., and worked for the Brethren Home Missions, building churches and preaching until 1962. He moved back to Winona Lake, and from 1962-1969 he was the Buildings and Grounds Superintendent of Grace Schools; as well as being self employed in construction throughout the 1970’s and 1980’s…building houses in the Grace Village area. 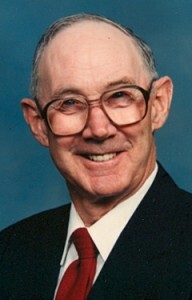 He was the Grace Village Superintendent of construction from 1974-1978. Max served in many capacities throughout his lifetime….in service, as a minister for the Grace Brethren Church, and he was proud that he helped oversee the construction of Grace Village Retirement Community and various buildings for Grace College. He built a woodshop in 1992 building clocks, cedar chests, hutches, windmills, lighthouses, shelves, and coat racks. But most of all he served the Lord, and was a member of Lakeland Conservative Grace Brethren Church of Warsaw, Ind. He was born on April 27, 1924 in Tatesville, Pa., to John C. Fluke and Sara E. (Brallier) Fluke. On April 15, 1943, he was married to Mary Ellen (Zimmerman) Fluke who survives in Winona Lake, Ind. He will be lovingly remembered by his four daughters: Carola Jean (husband Gary) Austin (Warsaw, Ind. ); Jo Ann (husband Richard) Rosbrugh (Claypool, Ind. ); Donna (husband David) Duffield (Oconomowoc, Wis.); Doris (husband Steven) Swing (Lewis Center, Ohio); two sons: Donald (wife Cindi) Fluke (Winona Lake, Ind. ); Daniel (wife Robin) Fluke (Warsaw, Ind. ); eleven grandchildren; nineteen great-grandchildren; and his brother: W. Thorne Fluke (Williamsport, Pa.). He was preceded in death by his parents, two sisters, and four brothers. Visitation will be held from 5:00 – 8:00 p.m. on Monday, May 12, 2014 at Redpath-Fruth Funeral Home, 225 Argonne Road, Warsaw, Ind. A memorial service will be conducted at 11:00 a.m. on Tuesday, May 13, 2014 at Lakeland Conservative Grace Brethren Church, 2538 S. County Farm Road, Warsaw, Ind., and officiated by Pastor Russ Simpson. A private family graveside service with military rites will be conducted at Oakwood Cemetery in Warsaw, Ind. Memorial contributions may be made to Kim and Jared Meidal (granddaughter of Max serving as missionaries at The Oaks Camp with World Impact); c/o Kim and Jared Meidal, P.O. Box 437, Lake Hughes, Calif. 93532 and would be appreciated by his family.